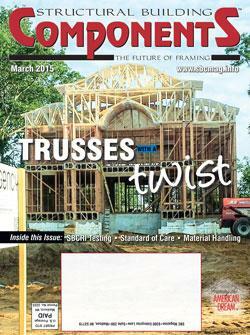 Home > News > Woodhaven’s truss design and manufacturing prowess featured in SBC Magazine. Woodhaven’s truss design and manufacturing prowess featured in SBC Magazine. and happy customers. “We cater to the smaller guys that require additional attention,” said Myers. Woodhaven's Truss and Panel Department, and General Manager Keith Myers, is featured again in the August 2016 Edition of SBC Magazine. The focus: how Keith introduces building officials to the entire scope of work that goes into truss manufacturing. "The Woodhaven team was just terrific and 'saved the day'. They re-installed my new sliding glass doors, which were incorrectly installed by another company."